Photo shows action from the ISSA/Digicel Manning Cup match between Charlie Smith and Camperdown at the Alpha Institute on September 22. The match ended in a 0-0 draw. The teams face off again today. (PHOTO: Marlon Reid). 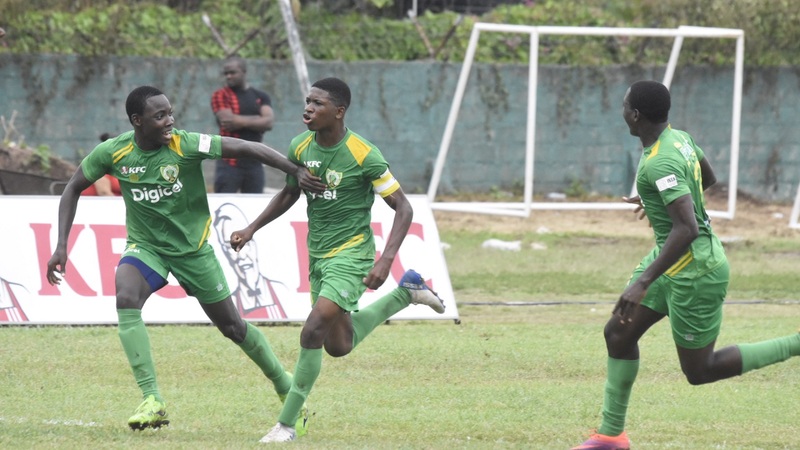 Three-time champions Charlie Smith High and St Jago High will be looking to join the list of second round qualifiers on Match Day 18 of the 2018 ISSA/Digicel Manning Cup football competition on Saturday. Both schools need only a point to join St George's College and last year's beaten finalists St Andrew Technical High School (Group A), Kingston College (Group B), Camperdown High (Group C), five-time defending champions Jamaica College (Group F) and Wolmer's Boys (Group G) in the second round. At the conclusion of the home-and-away preliminary round, the first two teams in each of the seven groups will advance to the next round. The best third place team/next best third place teams will also qualify for the next round. Those two places will be determined by the number of points earned divided by the number of matches played. St Jago High will travel to Edward Seaga Sports Complex to tackle Denham Town High in a Group D top-of-the-table fixture; while Charlie Smith High, which are second in Group C, will host Camperdown High at the Anthony Spaulding Sports Complex in another top-of-the-table match. Spanish Town-based St Jago enter the day atop Group D with 19 points, two more than second-place Denham Town High, with Innswood High, third, on 13. 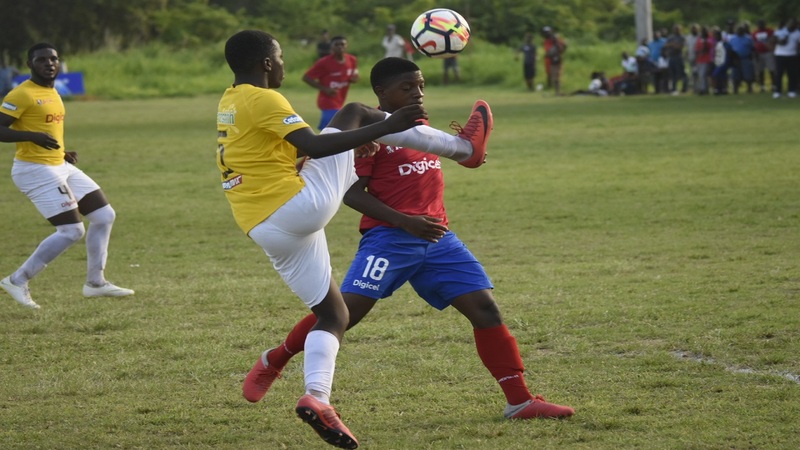 They are the three teams in contention for the two automatic spots and a draw for St Jago High will mean that they could only be joined or surpassed by Denham Town High and with that situation they will advance. Denham Town can also advance to the next phase but they need to beat St Jago and that would place them out of the reach of Innswood High and delay the progression of the Spanish Town-based team. Denham Town held St Jago to a 1-1 draw at Prison Oval in Spanish Town when they met in the first leg on September 10. An interesting game looms between the two. 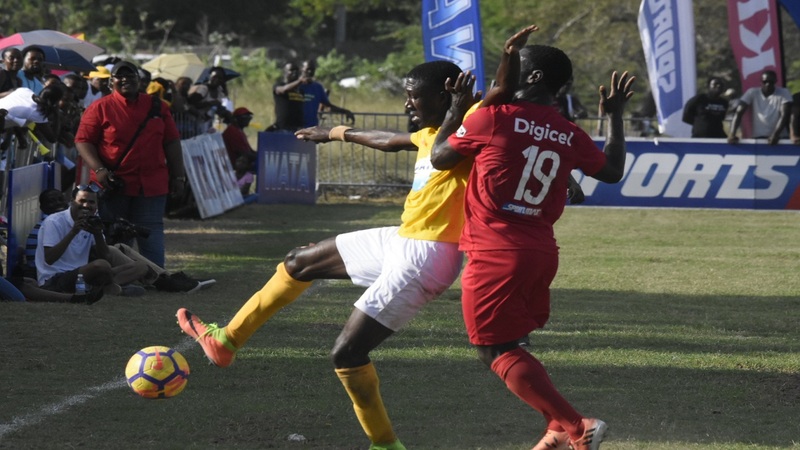 Charlie Smith are expected to have to tough match against already-qualified Camperdown in their quest to qualify with two preliminary round games remaining. However, although needing a point to confirm their spot on Saturday, Charlie Smith are virtually assure of a place as third-place Norman Manley High - the only team with a chance of getting the other automatic spot - only have a mathematical chance. Norman Manley High, which travel to Meadowbrook High, can only join Charlie Smith on points at the end of the preliminary round, but the Jerome Waite-coached team would have to lose on Saturday and Tuesday. With Charlie Smith having a goal difference of 14 compared to Norman Manley's 0, a mathematical chance looks almost impossible. Camperdown and Charlie Smith battled to a 0-0 draw in their first meeting on September 22 at the Alpha Institute. Camperdown lead the group on 22 points, with Charlie Smith second on 17 and Norman Manley third on 11 with two set of matches to be played. Over in Group G, Holy Trinity High also have a good chance of securing the last automatic qualifying spot from the group and joining Wolmer's Boys. 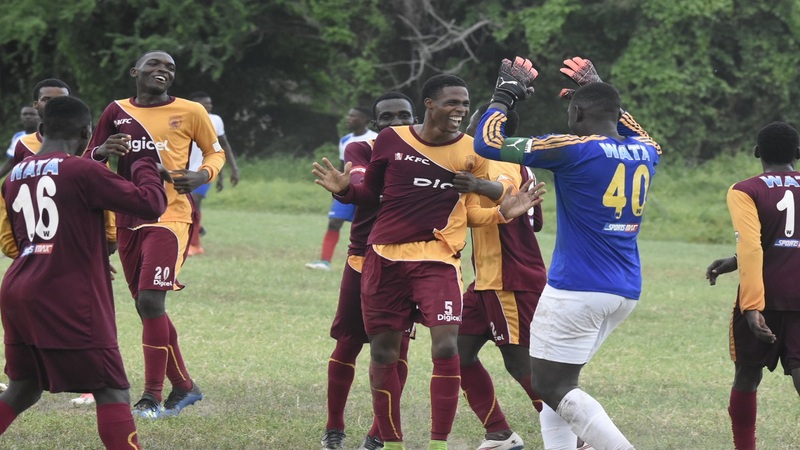 Holy Trinity need a victory at bottom-place Jose Marti High to confirm their spot and are highly fancied to achieve that after scoring a 4-0 victory when both teams met on September 22. Wolmer’s lead the group on 22 points with Holy Trinity second on 18 and Edith Dalton third on 13.